First and foremost I'd like to thank Jamie for sharing his files and allowing us to use as we deem because this project would not be possible without him so big thanks man, these files are awesome and the sheer amount of work that have gone into these files deserve mad respect. We're a very experienced small team of two (this is not not our first server, be it Mir or other games) so you can expect quality and balanced content. We are not english native speakers but I'd like to think I can hold my own in a converstion as such I'll be the public face, sort of community manager but you'll be able to find us both in our discord (which is currently private but will be made public very soon). Small introduction to our mindset: I'm a very competitive player and the class balance is of utmost importance to us (this is specially true when it comes to PvP) so I can guarantee you that it's our priority that all clases are viable. As for the fun factor, I don't like unfun and unrewarding mechanics, specially those heavy-RNG ones that require a lot of time and resources only to end up with something you don't like so we'll avoid those mechanics and even if there's one we'll make it as easy as possible. Exp rate: Exp is completely custom, it's faster than a medium rate (if you compare it to Hells' Insanity we're faster than that mostly because you're not stuck at lvl 85). 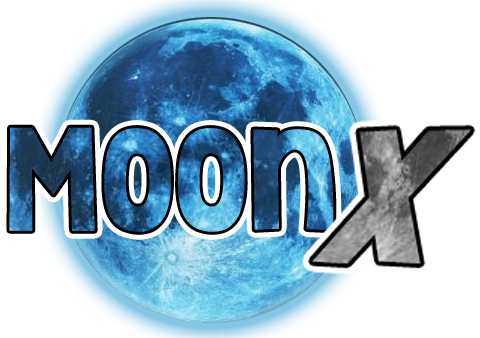 We do use Zircon files but we have completely reworked the exp to make a progressive experience to prevent players from being stuck in the same level for weeks/months. The exp rate does slow down as you progress but there are methods available to players to fix that (we're not disclosing that info yet but it's already in game). The exp table has not been adjusted blindly, in fact, we spent a couple days adjusting the exp table using maths to calculate the exact amount of exp per level and % per mob to make sure the leveling process feels smooth. Drop rate: Again, totally custom. The server itself has a 500% drop rate for most common-low level stuff however the equipment (specially the existing ones from zircon) drop rate has been increased in low level zones (i.e: Holy Palace) to make sure you're not undergeared when you outlevel the zone were in. My take on gearing progression is... I don't want a level 140 player with the same gear they had at lvl 80 because that feels bad and discouraging. However the endgame is not just about getting the equipment but also upgrading it. Gold rate: Custom gold rate, might need balancing according to feedback as there are PLENTY gold sink mechanics. 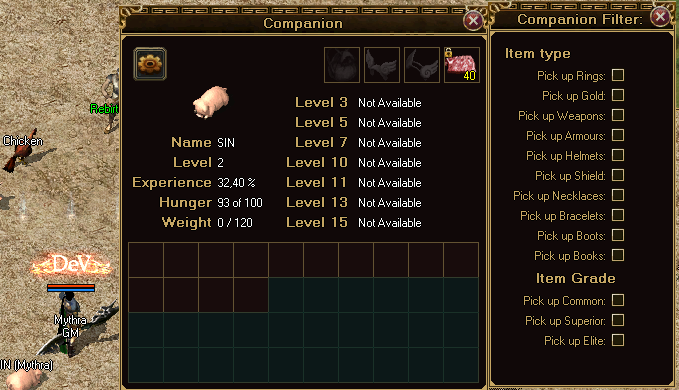 Skill & Companion rate: Both are x10, there's not much to elaborate here as their leveling rate is but a minor part. Rebirth system: Has been reworked. There are multiple rebirths that give you bonus stats, with their own name colour and buff icon to track the extra stats. FP System: Fame Point system, obtained from killing subs and bosses. Companion loot filter modeled after PoE: To filter by item category and rarity. Tier 1: Weak bosses like WT, BK and EC. Tier 2: MTK, RME, Queen of Dawn and some more. Tier 3: EE, ZT, Ferocious Ice Tiger and more. Tier 5: Khazard, Crystal Spider ,Ying & Yang Lord and a bunch more. There are 40ish bosses available for you to kill (not taking into account invasion bosses and city lords) and every single one is announced as they respawn (no need to kill mobs to open the KR). We'll add even more later on. 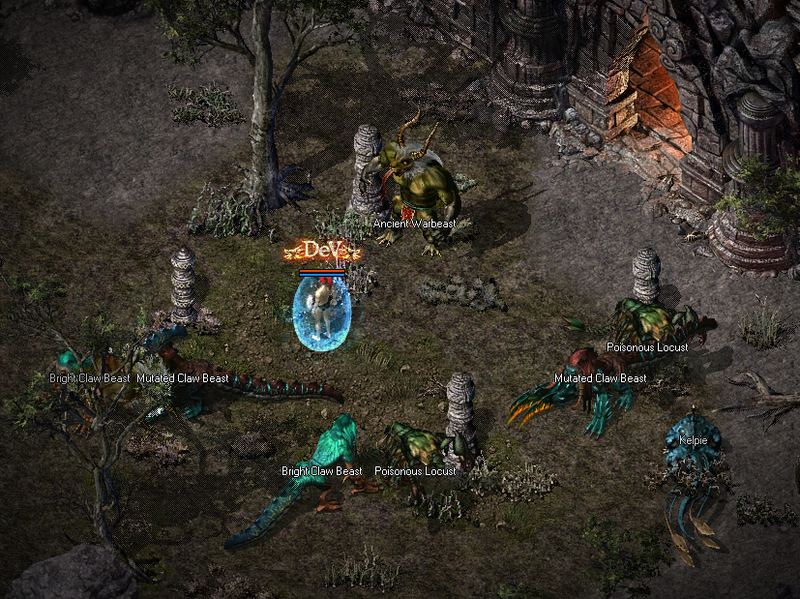 Highest level Weapons, Amulets, Wings, Boots and Shields drop only from bosses and group zones. Numa set has been reworked. If you want an extra edge over the enemy (not gamebreaking) in PvP this is the go to set. Tier 5-9: These bosses were supposed to drop higher level items but I don't want someone to get lucky and get a item way too early that could alter class balance so we just added lvl 140 items with increased drop chance. As players progress, we will add more items. CHB and Weapon glow (they're meant to be OP weapons and rarely accesible). It's too soon to grant access to these items, players have mentioned the CHB and it's just too soon. Emblems have auras/glows. Wings are now equipable and give stats, you can also refine them. You can now combine Emblems, Wings and Weapon glows to be a walking disco! Consumables (potions) and Oils (benes and such) are removed from the drop and are now available in town shops to prevent drop littering and reduce the player input. Picking up potions and organizing them can feel like a chore sometimes. Most of the already existing zones (Lair, Goru, Ice Palace, Banyo, Dragon Abyss and the likes) have had their stats reworked and drop added to offer more variety and actually give them a purpose so that they weren't obsolete. Also makes it harder to reach KR, I liked the guild wars in Zircon that happened along the way to KR. Some zones have been emptied because there's no need for them yet (Hyunmoon, Arids, Abandoned Town). They will be reworked for future use. Globalized city with all the basic NPCs (crafting and rebirth included), they're outside of Safe Zone to encourage PvP, the idea behind such a big city is to be able to hold invasion events and the likes. New mobs & zones. This is just a teaser of sorts, there are many more we're not disclosing because it's not fun to know everything before you start playing. Class balance and minor changes. Teleport cooldown reduced from 8s to 250ms to match the casting animation and has been allowed in all maps where you could use RT, scroll of random teleport still remains the faster choice. Frost Bite duration is now calculated like this: 1 + MagicLvL. Basically, at lvl 0 it will last for 1s and each additional magic level adds 1 second. The maximum duration is 6 seconds at level 5. The previous duration was too much, using it in PvP to dodge an incoming burst of damage but having to sit through the entire duration felt bad and I didn't want it to be used to wipe out lures with little to no input. Defiance: Grants 50% max AC and 50% max MR. Reduces DC by 15%. Might: Grants 15% DC. Reduces max AC and Max MR by 30%. Blood Lust: 5% DC + 1% extra per magic level up to +10% DC at lvl 5. Elemental Superiority: 5% MC/SC + 1% extra per magic level up to +10% MC/SC at lvl 5. Elemental attribute escales with level. Resilience and Magic Resistance: Escales with skill level and player level following this formula (5 * magic lvl * char lvl / 100) so if you're level 200 and the spell is level 5 you will get 0-50AC. Life Steal: Grants 1% per skill level to a maximum of 5% at level 5. Mass Purification: cooldown increased to 30 seconds. Infection: Damage reduced. The nerfs to critical chance and PvE damage didn't affect Infection so it was incredibly overpowered after everything was balanced so this nerf was necessary because they were the fastest leveling class by far as it was before. Empowered Evil Slayer and Empowered Explosion Talisman no longer have an internal cooldown. Taos in mass PvE are awesome due to Infection but they were lacking a little bit in small scale lures so it's a nice improvement. Summon Shinsu and Infernal Demon: Level, stats, movement speed and attack speed increased. Pets used to be kind of useless because they were SO slow they would just wander around aimlessly and if they actually managed to hit someone they hurt like a wet noodle but now they're a younger and overpowered version or Arnold Schwarzenegger. Assassins have increased PvE damage at lower levels. Previous changes have been discarded because it was not well received, Dragon Repulse now works as in Zircon. Damage WILL be increased in open beta as I receive feedback from players to compensate for Massacre nerfs. 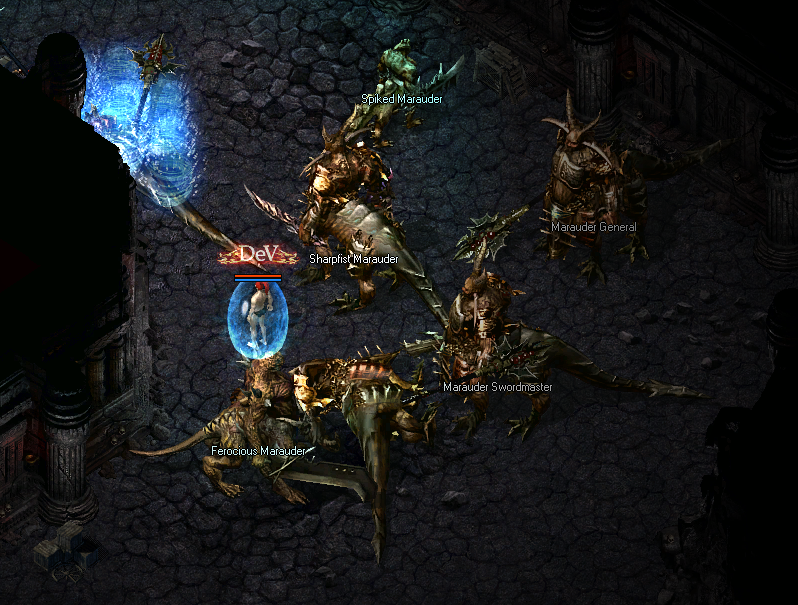 Damage reduced by 30% to prevent Assassins from chaining Massacre and clearing an entire screen of mobs. To compensate for this nerf Summon Puppet got a global damage boost. Damage increased. As I mentioned earlier, the Assassin was the one most affected by the stats revamp, as such, Summon Puppet had become an obsolete spell that had very little use outside PvP. The main reason for this increase of damage is to add a little extra AoE burst in PvE. In PvP you can actually nuke someone if they don't move away, whoever dies to this deserved it considering the delay. Cooldown slightly decreased (from 30 to 25 seconds). * These changes are not permanent, specially the Summon Puppet one because I'm fully aware that it will bring changes to PvP, that's why we have closed beta in the first place, to offer feedback after testing these changes. Added Ginsengs to potion shop and bigger potions added but they're much more expensive. Elixir of Purification: Increased cost to 150.000, cooldown still remains at 0 but shares cooldown with other potions. Removed Exp, Drop and Gold rate from items (sets and crafted weapons too). Several items from the Game Shop have had their stats increased (Horse Armours, stat drugs, etc...) because they were obsolete in the current game. Some of these will have an improved version that will drop from bosses or obtained by FP rental. Many items had stats that in my opinion didn't make sense to be there so I've removed them because it was a gargantuan task to keep track of them all and balancing all the gear was unnecesarily hard so we've taken them out and they will be added back (if needed) in a more controlled and progressive way. You might have noticed by now that I don't like messy stuff that is hard to keep track off so the reason behind these changes is to help me establish a solid template for each item type and what stats should it have so it's easier to adjust in case there's something broken. HP and Mana > Will be added back to sets. I want defensive stats and offensive ones to go hand in hand. Agility, Accuracy, Evasion and Block > There are other ways to gain these back. Exp, Drop and Gold Rate > Completely gone, these rates are completely custom and there's no need for any more buff. Adv. Resistances > Removed from some items and added to others. Players will have x3 ADV to each element if they have good gear, if they want x5 ADV they will have to sacrifice some offensive power or be lucky with item drops. White Horse: Is the go to horse if you want HP regen. It gives +7 Comfort and will be the prefered horse for everyone until they can get comfort 20 naturally without a horse (with new and more powerful items). Black Horse: Defensive horse. Gives +1000 HP and 0-25 AC/MR and +4 Comfort. It now works as intended. Previously you would heal yourself for a maximum of 750 HP or 1500HP if you were an Assassin (with spells only). Reduced the amount of Life Steal you can obtain to a maximum of 10% if you're a warrior or 16% if you're an Assasin. As of now you will be able to heal yourself for more than 750-1500 HP but it will require better equipment. The reason behind these changes was to make Life Steal a stat you can rely on at all levels, something that was not possible to do the way it worked before. Reduced the amount of Critical Chance you can obtain from various sources and completely removed from the weapon crafting system. Reduced the amount of Critical Damage (PvE) you can obtain from various sources. Companion can no longer roll Critical Damage (PvE). I know these changes might sound crazy to you and I understand everyone likes HUGE numbers across the screen but hear me out. The server was properly balanced up to the release of Lost Land where damage skyrocketed and it only got worse as players stacked the previously mentioned stats. The current situation is so out of control that players were dealing so much damage that defensive stats couldn't keep up and were there just for show except HP where monsters suddenly had to have 5 times more HP to keep up but this is not the proper way to do thing so I decided that he best way to solve this was to nerf the main culprits to a reasonable amount that is easy to keep in control and won't allow damage to spike up to the sky. By reducing the impact these stats brought it will encourage players to hunt for newer and more powerful items instead of just upgrading their weapon. Needless to say that these changes are not final and further testing is needed plus I have to modify all the mobs to adjust to the current player strenght. Reduced the amount you can get. Should this be too low we'll add Evasion to armours and Block to shields in the upcoming new items. Paralysis, Silence and Slow: Reduced the amount you can obtain. These stats are something I'm very concerded about due to the PvP interactions so these are certainly NOT final. Poison and bosses health regen. I've mentioned before that I don't want people soloing bosses unless it's very weak bosses and players are much higher level so we've made some changes to the way bosses can regen their health. HP Regen 0: This is the standard you're used to and the one that weaker bosses have. They regain 2% HP every 6-7 seconds approx. HP Regen 1: The boss will regen 10% of their HP every 5 seconds it's not affected by pois. HP Regen 2: The boss will regen 20% of their HP every 5 seconds it's not affected by pois. HP Regen 3: The boss will regen 30% of their HP every 5 seconds it's not affected by pois. HP Regen 4: The boss will immediately regain ALL of its HP and is completely immune to all sorts of damage if not poisoned. This server is something we're making entirely for fun and don't have any plans to make money out of it. There will be donations for those that wish to take a shortcut and even though there are items in the game shop that increase your stats, they do so in a reasonable way and they're something you will be able to get and maintain by just playing the game. Character power comes mostly from level, gear, hermit and rebirths so it doesn't matter how much someone could possibly spend because you have to PLAY if you want to win. - [T] Tonics that increase stats have been slightly buffed. - [P] Marks have been buffed. - [T] Marks have a huge stat boost but their duration has been reduced to 10/10 and will be removed from the Game Shop and added to the drop list and they will be tradeable. - Tonic of Collection [T] duration increased to 7 days. Price remains the same. - Refiner's Ore (Safe Master): The one that allowed you to reach 100% refine chance will be removed from the Game Shop. - Refine Extractor: Removed from the Game Shop, the Stat Extractor stays. Also, new account receive 1000 Hunt Gold. Items bought with Hunt Gould are bound to your account. 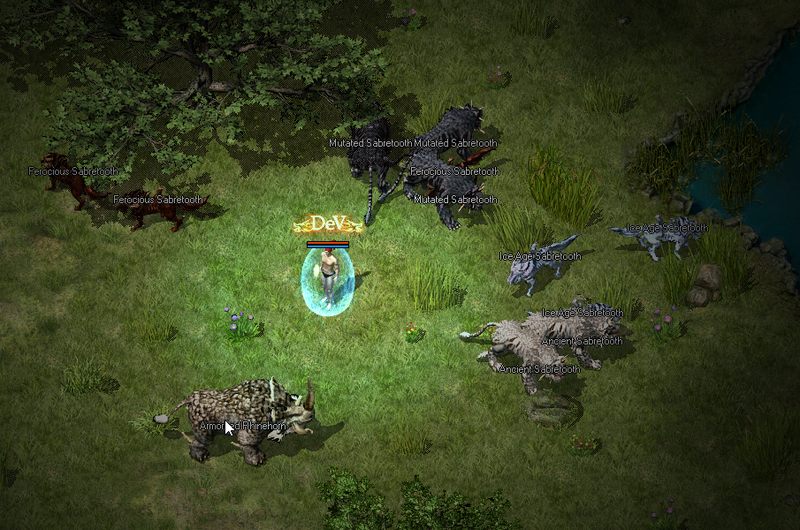 Players receive less experience when killing monsters that are lower level, -20% exp per level above the monster. Guilds are capped at 30 players max to prevent a single guild dominating the entire server. It is permanently enabled to allow players to monitor possible cheaters. You can find the Holy Palace full set in vendors (weapon, armour and jewelry store) as well and ALL books in the book store. - Lowered price of Stat Extractor to 150. - Assassin's Edge and Warrior's Edge now have luck 4 base. Future weapons won't have it, this is to help them early on where the scaling is not enough. - Spirit Caller (equipable by all classes) and Numa set added to Dinos and Numa respectively. They drop exclusively from normal monsters and are very rare (Numa is easier to obtain as it is not as powerful). Numa bracelets have either AC or MR and they're a good choice as a non-main set, between this and the new offensive bracelet this will provide some gearing diversity. - You can use Beckon against players up to 3 levels above you. I.E: lvl 120 can beckon a lvl 122 but not a lvl 123 because it's considered as "same level" so the effective range is actually 2 levels beyond yours. - Beckon CD in PvP is 15s. - Intercahnge CD in PvP is 30s. - Defiance now grants 1% Life Steal per level up to 5%. - Defiance now gives both min and max stats and have been increased to 15% per level instead of 10%. - Seismic slam now cant para/silence Subs and boss. - Seismic slam now cant para/silence players higher or equal lvl than you. - Bosses no longer deal extra damage against Assassins. - Assassins have increased damage at lower levels. 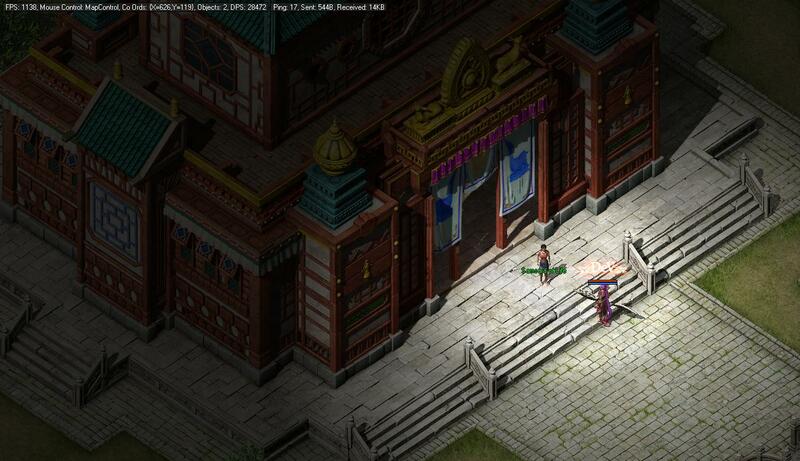 - Art of Shadows level requirement lowered to 50. - Summon Puppet and Dragon Repulse cooldown reduced to 20 seconds. - Hell Fire doesn't work with bosses but it does against subs. - Massacre was increased radius from 2 to 3 to compensate for the damage nerf, you will hit more monsters than before but deal less damage. - Dance of Swallow cooldown increased to 15s on PvP. - Meteor Shower, Ice Storm, Lightning Bolt and Dragon tornado deal extra damage against bosses. - Geo Manipulation CD is 15s in PvP. - Infection damage is increased by 10% per Rebirth. - Lowered infection from 2s to 1s. - Reworked infection damage formula, hopefully it will be easier to keep in check now. - Infection duration has been increased. - Transparency has a 15s CD if used on PvP. - White Horse comfort increased by 1 so you can get Comfort +20 without tonics/potions. - Guild buff is always 30% regarless of how many members you have. - Rebirths no longer allow you to equip any item regardless level, you have to fill the item requirements to equip it. - Reduced the price of weapon crafting. 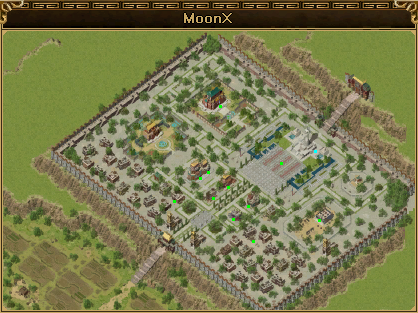 - Treasure Box added to cities (Bichon, Lost Paradise, Banya Village, Banya Island, Sabuk Keep, MoonX, Taoist Temple and Bichon Castle). They're on a 24h respawn, only one per city and are announced just like bosses. Drop: Gold, Benes, refine materials, wings, emblems (no Allfather/Dragon Wings) and 40 FP. - Sabuk Keep invasion added. Invasion will last for 5 waves, each wave will spawn 100 lvl 200-240 monsters and 15 subs/bosses (completely random) from tier 1 to tier 7. Waves last for 20 minutes and monsters do not disappear when a wave ends so if you can't kill them in time it will become harder as there will be more bosses/mobs around. - Carrot event. Same as Zircon but you can use 1000 carrots in exchange of temporal items, cubes or 500 Carrots for an short duration +50% Exp/Drop potion. So I have been playing on the server since it launched and since the Discord for the server seems to be getting spammed with mostly useless feedback and Bias Crying over changes I figured I would make an in-depth post here as well as cover Mythra's Advertisement post. Exp rate - Levelling in general feels smooth Although the fact that each levelling zone all the monsters have the same stats is a bit of a waste. Drop rate - Seems a little low after Level 80 zone I managed to get to level 100 without obtaining a full set of Obsidian ended up having to buy 2 parts. Also the fact there are no Low level Wings, Or Emblems that drop off subs is a bit meh, Lastly is the fact that 80 & 100 amours look identical personal I preferred Zircons skins for the Doomclaw armours. Gold rate - It's fine except for subs and bosses it seems a little low. Skill & Companion rate - Seems Okay. Rebirth system - Gives too much Damage Increase to both PVP/PVE. FP System - Tier 3 and lower bosses and subs do not give enough FP at them rates it will take months to get a 4th and 5th level spell and No Item Rental. Companion loot - Great Feature. Boss tier system implemented - Great Idea but Copy and pasted stats for each tier is daft and not only do group drops not split evenly but they very rarely drop out good. 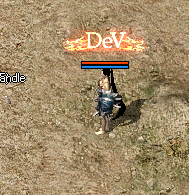 CHB and Weapon glow - Not implemented yet. Consumables - Great job on removing potions from drops, But Benediction Oil's are far too inconsistent to be worth 1m a each even on Zircon you would be looking at up to at least 1b gold to get luck 7 so doubling there price is too much. New mobs & zones + Reworked Old Zones - Not tried many of the new zones yet but their pretty much Identical in drops, Gold, Exp And stats which is the same as what you have done with the old zones that you have reworked. Class balance - Will Leave this until the end of post. Items - Ginsengs Good Addition but the individual potions should be reworked too function with the game at high levels. Equipment - Absolutely silly everyone is wearing the same sets and until the other day there was no none set items or none level requirement items for players to use apart from the start gear that they were forced to add to the shops because they removed most of the old equipment from the drops. Mounts - Completely changed their stats to allow players to spec into different builds e.g tanky, damage, Comfort. But never adjusted the prices to a reasonable standard making swapping horses pointless. Life Steal - Warriors have access to 5% and can get to 10% where as the assassins have 16% and can get to 21% the extra 5% comes from Special refinement and is not easily obtained. Critical Chance - It's not 20% it's possible to get 25%. Critical Damage (PvE) - Reduced to 100% on weapons instead of 200% but Rebirths give so much that the 100% lost from weapons makes no difference at all. Block and Evasion - Work fine. Paralysis, Silence and Slow - Work fine. Item parts removed - Good it was a stupid system. Poison and bosses health regen - Good Idea shame it doesn't seem to be working correctly. Game Shop - Fairer than Zircon was Good Job. Exp penalty - Out Dated. Guild cap - Perfectly Fine. Observer mode - Dislike it always being on If I wanted to have someone watch me playing a game I'd be a streamer. Spells - This is going to be a long section and I will cover each class as I have played all 4 up to 100+. Wizard - This class needs a complete rework to have MC work properly in relation to their spells and Frost Bite change makes the spell useless. Warrior - This class was completely fine and their Slam spell made them able to bring Utility to the fights with bosses with AOE giving people breathing room and was also good in PVP. Well that was until last night they took away that Utility and made it unusable on bosses (Some bosses I can understand but AOE ones) And made it so you cannot use it on anyone a higher level which is daft even if you played a warrior day one 12+ hours a day your never going to out level any of the other classes. Assassins - There not under-powered and they hit stupid numbers making the 21% Lifesteal they can obtain break the class completely. I've seen them Wiping out Lures in DV, Banyo, and Dinos In under 10 seconds. Taoists - This Class Started off strong for gaining levels because they had made pets a tiny bit stronger and once they got infection it gave them a little too much power because they could infect and kill larger lures than wizards could. That was until they Nerfed them making them kill twice as slow causing an uproar and half the Taoists to quit and go back to other servers. Infection - Got nerfed after a week of Taoists levelling with it so now any new taoist is at a disadvantage, that is ignoring the one's who massively benefited from it. Rebirth Bug - Allowing players to use 140 gear before reaching 140 Havok was exploiting that as soon as it was spotted you guys didn't stop him from doing so until after you had a fix meaning he gained a big benefit and it wasn't just him. Fragment NPC - So I have been told it was in game on day one and that a number of players have their stores full of Fragment 3s from using it before it was removed. Meaning they can get a Massive advantage with Master Refinements and Special Refinements. Warriors Stun Spell - Taking away the stun after the two most powerful guilds have benefited from it by killing all the best dropping bosses and gaining the equipment from them. So to summarise you made an advertisement in the server section and promised this, that, and the other then come launch it's been one issue after another and the Copy and Pasting Stats and drops on these files which a 5 year old could edit seems very lazy to me. I expected a lot more from this server and it's completely failed to meet mine and many other's expectations in a lot of ways. This is why servers should have a beta with wipe so that things can be tested properly If you had you wouldn't be in the mess your in right now or have the headaches or people personally for me I am going to keep playing and hopefully you can fix things or choose to start again. But until the classes are fair I see no point in playing a Taoist, Warrior, Or Wizard because the Assassin is broken yet again. Thats nice feedback, server is fun but loads of things wrong with it, its a bit all over the place seems rushed GM seems over his head. Balance is out the window. warrior run around leveling without using blade storm dragon rise, flame sword. Thanks for that Fusion I thought I missed something. You need to add harder areas for levelling with fewer monsters that would improving players grouping for levelling and also make the single target spells some classes get useful. This would also have fixed Infection to a degree. Started off with promise, turned into junk pretty quickly. server needs alot of work and a wipe. I will give it a go, can't be worse than spectrum mir 3 server. Like all before me said -Server was ok before strange nerfs/changes. If gms want to run it a bit longer than 1 -2 months it needs asap a wipe. Warrior is tbh weaker as its described in the 1st post. Sin took his job as tanker. Im a war player so it's another nonwar-server. I wont comment the silly cube system where some players roll +19% and another - weaps without luck.this cube should be deleted - it breaks the game with way overpowered stats. Lvlin caves should be adjusted same as items. Hype train about this server was giant but the content really disappointed me. Although I agree that the cube system causes more issues of In-balance that I like the have just launched a patch to re-balance all the classes to an exceptable level. The only class that might warrant a look at now is wizards but I haven't really tested them yet enough to see if they are good just seen screens of bitchin saying their too week begging for buffs. But it might be something the GM's need to look at. Shame they don't post updates on here. Hopefully though, the Defiance change will help warriors. Where are the update's posted? yes. Sad but true. Server is almost dead. feel sorry for people who have actually lost their time on this server.. it was clear 3 days in that this was a waste of time lol.